Thursday, July 18, was Nelson Mandela’s 95th birthday. The day before, I read an article by Ellen Goodman, the founder of The Conversation Project, a public engagement endeavor to encourage families to talk to their loved ones about end of life decisions before being forced to shoulder the burden of those decisions without any guidance. Ms. Goodman’s article brought many thoughts to my mind, both personally and professionally. As many of you now know, my book, Love and Loss in Life and in Treatment, chronicles my relationship with my husband, George, from the beginning of our intensely close and loving relationship, through his illness and eventual death, to my life as a widow. Since George was twenty-one years my senior, I always believed he would die before me. And we certainly had many conversations over the years about no extraordinary measures, no being kept alive by machines, no sustaining of life without any quality of that life. And yet, as George battled his ever worsening metastatic prostate cancer, coupled with heart disease, it became clear to me how determined he was to live, despite his pain, despite his severely restricted mobility, despite his shrinking world. He didn’t want to leave me, he said. I still lit up his world. Just seeing me walk into a room made him happy. And so he continued to fight. Until he was ready to stop fighting. As I write in my book, the decision to put George into hospice was difficult, but not agonizing. Even this last time, George took care of me. He was back in the hospital and was preparing for a procedure to drain his bile ducts from what might have been yet another type of cancer. Our doctor came into the room and asked if his heart stopped during the procedure, did he want to be resuscitated. Much to my surprise, this man who had fought and fought to live said, “No, it’s enough already.” He had made up his mind. It was time. He did survive the procedure, but his body was shutting down. I made the decision to put him into hospice, he died 36 hours later. George died with as much determination as he had lived. So mine is definitely “a good death” story. And over the years I have certainly known many patients, as well as family members, who have had “good death” stories. I totally agree that it is imperative to have conversations with family members so that their final wishes are clear. But, I have also known instances where “the conversation” alone has either not been sufficient or totally disregarded. On one side of the continuum, people who say they want no extraordinary measures when they are relatively healthy, may decide to try every experimental drug available to prolong their life even for a few weeks. Or a parent who has opted for no extraordinary measures prior to developing Alzheimer’s, may have an adult child who perhaps because of guilt or an inability to let go, will order a tracheotomy to extend the parent’s life. Both patient and caretaker are in highly emotional states and their decisions cannot be assumed to be consistent or what might seem reasonable to an outside observer. Coincidentally, The New York Times Magazine’s cover story this past weekend, featured the heart rendering story of a bioethicist who had spent her career defending the right of patients to choose to die and her vibrant, athletic husband who had previously said he wanted no extraordinary measures to prolong his life. Then he became a quadriplegic in a tragic bicycle accident almost five years ago, and the theoretical became personal, leaving both husband and wife to struggle anew with the question of living and dying. On the other side of the continuum, there are people who have made clear that they want every possible treatment, machine, anything and everything done to keep them alive, with the idea that as long as there is life there is hope. These people may also change their minds, as any quality of life slips further and further away. 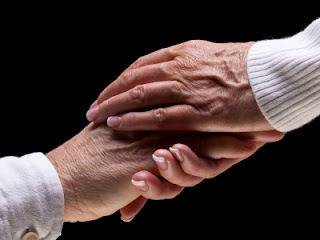 There are also caretakers who may choose to ignore their parent or spouse’s wishes, often because they cannot bear to watch the patient continue to suffer, sometimes because the cost becomes prohibitive. Again, I’m a total and complete believer is having “the conversation,” in fact, many conversations, but the complexity of human emotions, particularly during times of great stress, cannot be ignored.